An important event in the Building Information Modelling (BIM) calendar is fast approaching. Policymakers, business leaders, technological innovators, and builders of infrastructure will come together at BIM World Paris from 2 to 4 April 2019 to discuss the critical issues involved in the digital transformation of the construction sector. The EU BIM Task Group will attend too and introduce their vision of how BIM can fuel both innovation and growth in European markets. Souheil Soubra, Chair of the Group’s Steering Committee, and Milena Feustel, Co-Chair, will be leading a session on Tuesday 2 April (17:00-18:30), in which they will present the Task Group’s BIM roadmap. This roadmap charts the transition to the digitalisation of the construction industry, which could unlock a 15-25% saving for the global infrastructure market by 2025. The session run by the EU BIM Task Group aims to highlight the vast potential for public procurers to make savings thanks to the implementation of BIM. Alongside the reduction in construction and operation costs, savings could also be generated by social and environmental benefits. The Task Group therefore aims to facilitate the uptake of BIM in delivering the very best value for public money, in turn creating a more streamlined, competitive and sustainable construction sector. Join Souheil Soubra, Milena Feustel and other members of the Steering Committee at BIM World Paris to learn more about the future activities and goals of the EU BIM Task Group. Expo, Porte de Versailles, 2-3 April 2019. Room A, 17:00-18:30 on 2 April. The EU BIM Task Group aims at delivering greater value for public money while stimulating innovation and growth in both the construction and digital sectors in Europe. Soubra, a top expert in Building Information Modelling in France, will lead the group’s work. 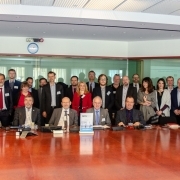 Brussels, 22 January 2019 – The EU BIM Task Group is a pan-European network exchanging public sector expertise in the field of Building Information Modelling (BIM) from infrastructure and public estate owners, public clients and policy makers. On 17 December, the EU BIM Task Group held its annual General Assembly in Brussels to set its roadmap for the coming years and to elect a new Steering Committee, which will direct the efforts towards the digitalisation of the construction sector at the European level. Building Information Modelling is a method which fosters the digital planning, manufacturing, construction and management of built environments based on their physical and functional characteristics. It is currently considered to be the most impactful technological development in the construction sector. Studies forecast that a wider adoption of this process will unlock a 15-25% saving for the global infrastructure market by 2025. In a market as large as the European construction sector, which is worth over €1.3 trillion, even a 10% increase in efficiency would save the industry €130 billion. This impressive figure does not even take into account the potential social and environmental benefits of this paradigm shift, which could even be bigger; improved decision-making enhanced by BIM would support the efforts towards climate protection and resource efficiency, ensuring benefits for society at large. 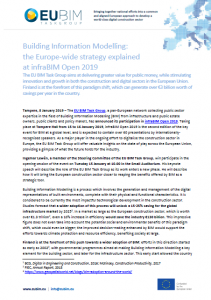 In light of this, the main objective set by the EU BIM Task Group for the construction sector in the coming years is to achieve a sustainable and inclusive growth within Europe’s Single and Digital Single Markets by means of a wider adoption of Building Information Modelling. It is a challenging proposition, especially considering that the construction industry is currently one of the least digitised in Europe – therefore reaching this goal is key to ensuring the future competitiveness of the sector. During the General Assembly, the EU BIM Task Group appointed the new Steering Committee, which will lead the group’s work towards this goal. Dr. Souheil Soubra has been elected Chair of the EU BIM Task Group for the next two years. He is Director of the IT department at the Scientific and Technical Centre for Buildings (CSTB). 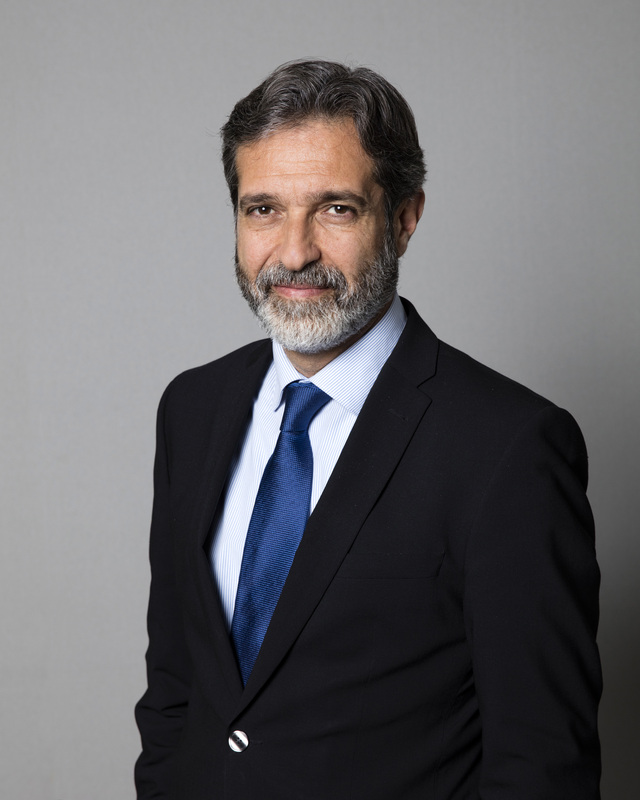 Moreover, he is actively contributing to the French Digital Transition Plan, supported by the French Ministry for Ecological and Inclusive Transition and by the Ministry of Territorial Cohesion, in order to prepare a large-scale deployment of BIM in the French construction sector. Dr. Soubra is leading the EU BIM Task Group together with Architect Milena Feustel, German, who was appointed Deputy Chair during the General Assembly. The new Steering Committee includes Pietro Baratono (Italy), Dainius Čergelis (Lithuania), Diderik Haug (Norway), Brigitte Jacquemont (France), Benno Koehorst (Netherlands), Ingemar Lewén (Sweden), Adam Matthews (United Kingdom), Jaroslav Nechyba (Czechia), Jaan Saar (Estonia) and Jorge Torrico (Spain). The EU BIM Task Group, a network supported by the European Commission, was founded in January 2016 and rapidly grew to include 23 countries in Europe. Through this platform, public estate owners, infrastructure builders and operators, policy advisers and procurers from members of the European Economic Area (EEA) or European Free Trade Association (EFTA) can exchange best practices, stimulate co-innovation and draft strategies that will drive the construction sector towards a smarter, more efficient future. Learn more about the EU BIM Task Group on YouTube. If you are interested in setting up an interview with Souheil Soubra, please contact our press office.